The rally attracted large turnout of crowd, party faithful trooped out in their thousands to welcome the president. 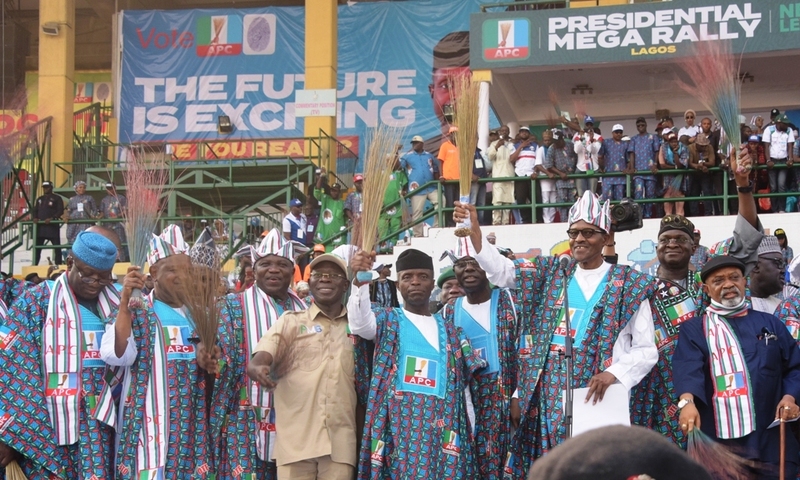 However, Lagos State Governor, Mr. Akinwunmi Ambode on Saturday assured President Muhammadu Buhari that residents in Lagos would troop out enmasse on February 16 and deliver the State to him and other National Assembly candidates of the All Progressive Congress (APC). Ondo Poll: Buhari, Tinubu Aregbesola Fail To Attend APC Rally As Oyegun Advise Members To Return To Units And Mobilise For Akeredolu.